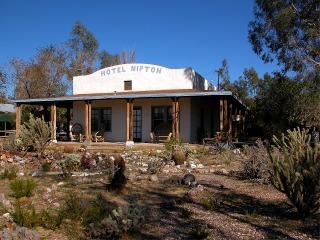 click photo to enlarge We were passing through Nipton on our way to Laughlin. Nipton has a population of less then 500 people and is on the northeast edge of the Mojave National Preserve. It seems to be a favorite stop for motorcyclists as there were a number of groups that stopped briefly to get off their bikes. I was told the riders come from Las Vegas on a big loop ride. 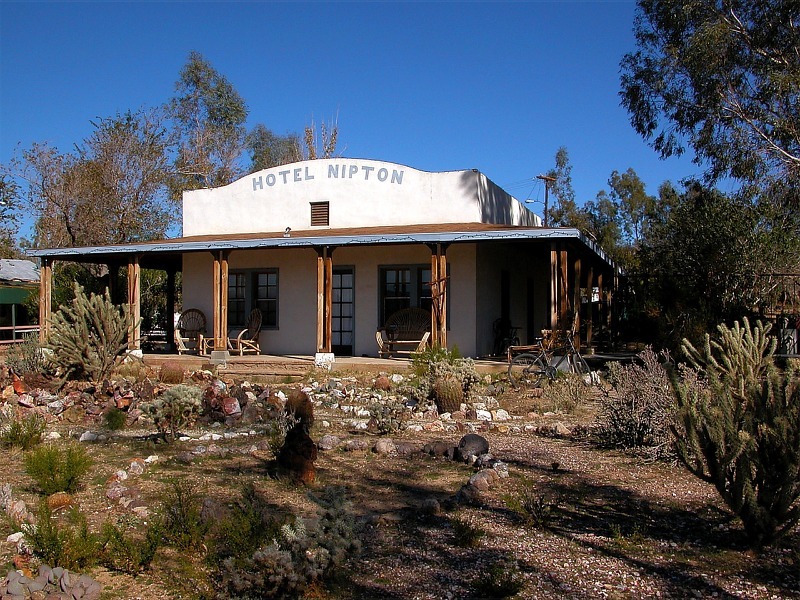 click photo to enlarge The Hotel Nipton is here which operates as a Bed and Breakfast. 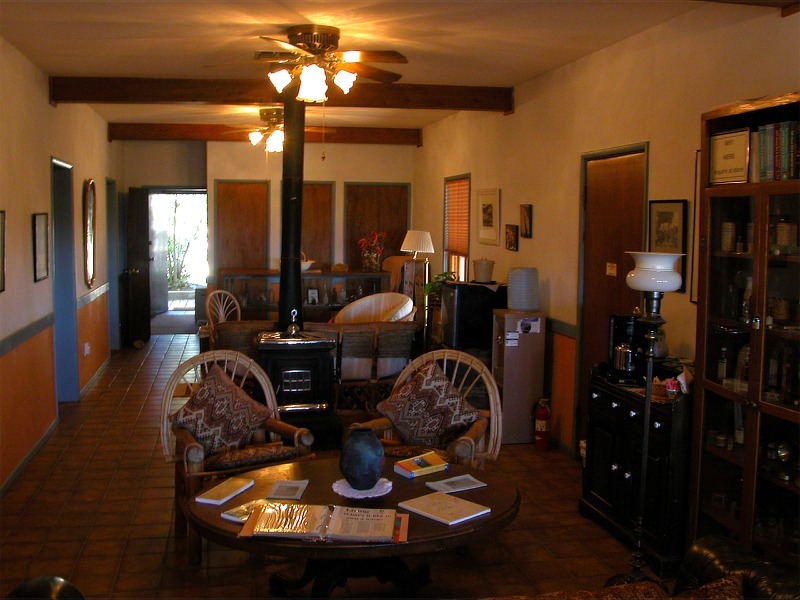 The Hotel was built in the early 1900's and has a wonderful wrap around porch looking out over the Ivanpah Valley and the railroad tracks. 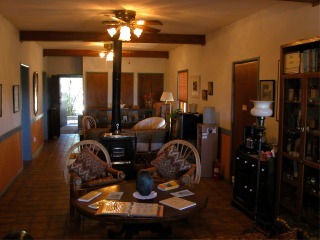 When we mentioned that we were docents at the Harvey House in Barstow and that we did their web site they were happy to show us around. Although if you ask nice I'm sure they would be happy to show anybody around. 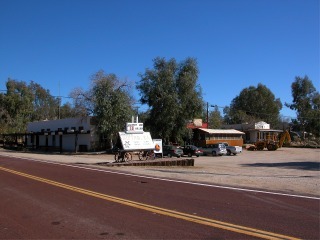 click photo to enlarge The Hotel is built of Adobe and is very neat and tidy inside. They also have an outdoor spa that would be wonderful to sit in and star gaze at night. 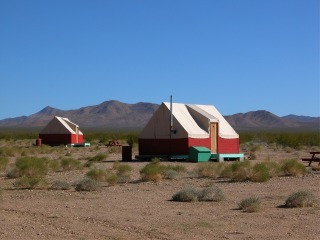 click photo to enlarge Also on the grounds are these tents which they rent out. 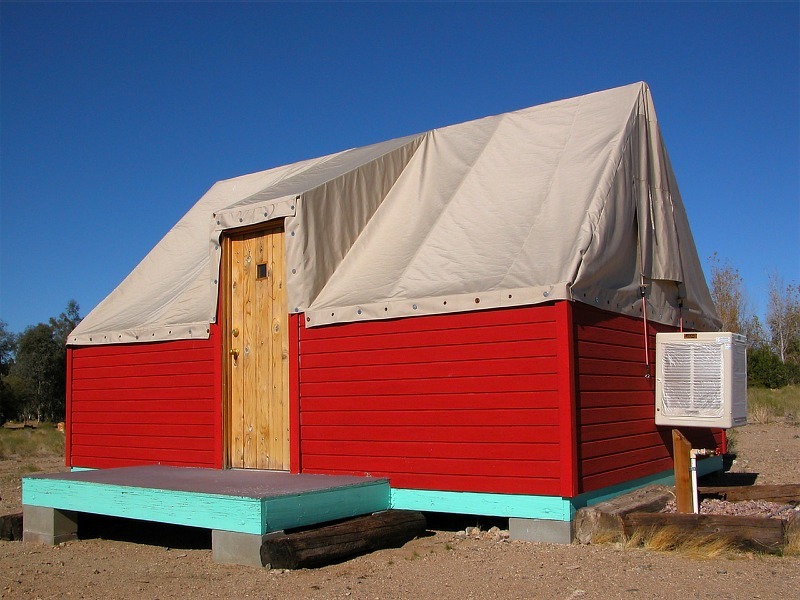 The tents come equipped with heat and cooling. There are no houses out in the Ivanpah Valley and I want to go back again and spend the night so I can sit out and star gaze. click photo to enlarge Another surprise was this restaurant. The gentlemen showing us around told us the food was good so we decided to have lunch. They had pasta fagiolil on the menu so I asked chef Bill about it. It seems he makes it home made himself and he said the portions are large. So we split the soup and a burger. 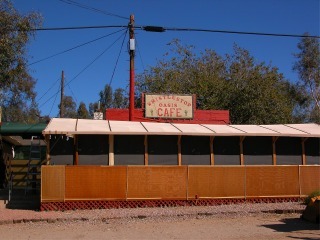 The burger is the best burger I have eaten in Southern California and the Pasta Fagioli soup was to die for. Bill, if you read this we loved your food and will be back again for it. I'm already trying to get together a spring trip to spend the night into our schedule. 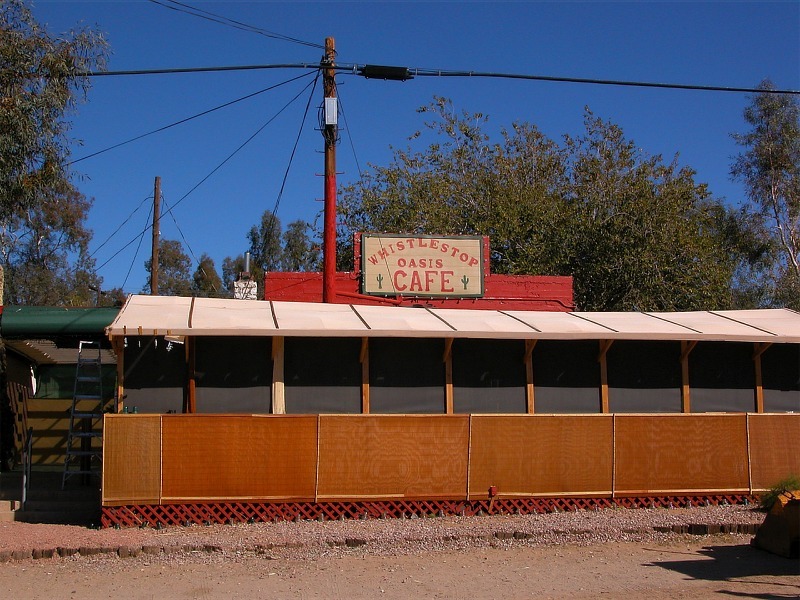 If you stop in Nipton make SURE you eat at the Whistle Stop Oasis Cafe.